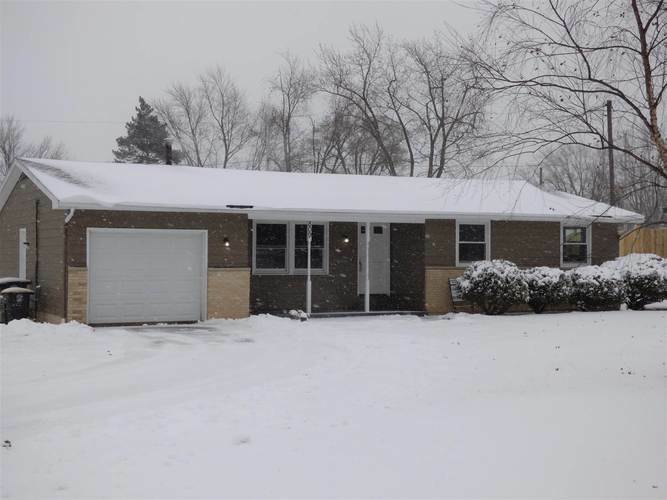 Charming move-in ready ranch home in Southwest School District. This home has so much to offer with the big yard, 3 bedrooms, 2 Full Baths, two separate living spaces, great kitchen with appliances staying and all the updates! New windows, water softener, upgraded engineered hardwood floors, and Berber carpet. Roof and A/C new in 2015. Close to shopping, 69, and downtown. What a great location! This is a gem of a home in SW, DO NOT MISS IT! Directions:Illinois Road North on Hadley. Home is on the east side at the corner of Hadley & Westlawn.